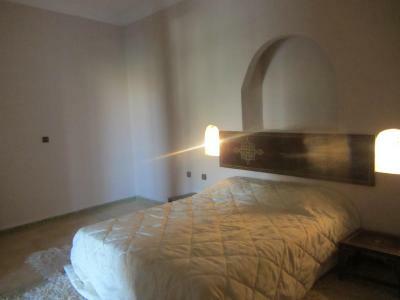 The location is good in case you want to stay in Medina. Moreover is quiet. Quite basic accomodation, but great location and quiet. We had our own bathroom which had plenty of hot water. Mustafa was lovely. The breakfast is so good, the croissant,the tea,the bread the honey the jam and the cheese are perfect. Mustapha satisfy all of our particoulary requests. The room is too comfortable and the position is so close to jam3 lfna. 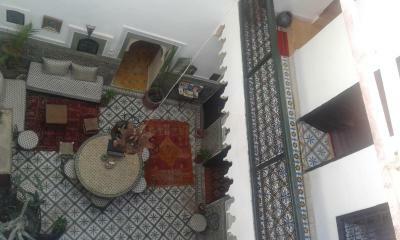 Mustapha is our great friend,the next time wich we come back in Marrakech, of course return in riad azul. Thank mustapha. Ishallah. Mustapha and rachida are very very nice!!!!! !the room is harem d'amour!!!!! Good staff, great breakfast. 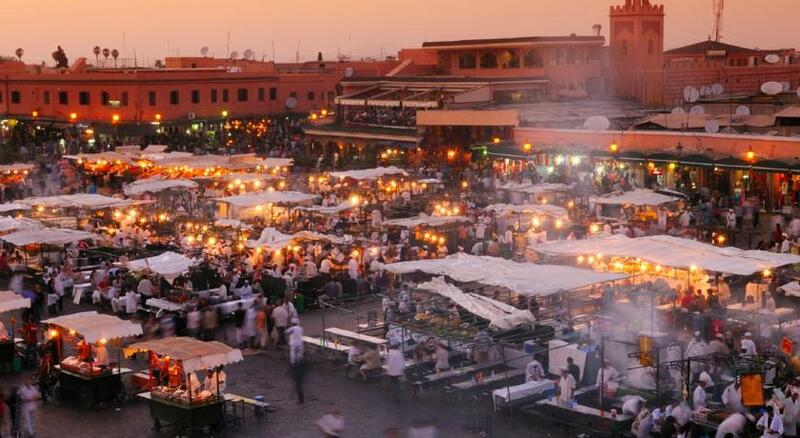 The central square of Marrakech is close to the hostel. Younos and Mustafa are amazing hosts. They were willing to help us with everything. The road Ian very central, about a 3 min walk to the main market. Great breakfast and terrace. This is a good place if you want a good experience for a very good price. 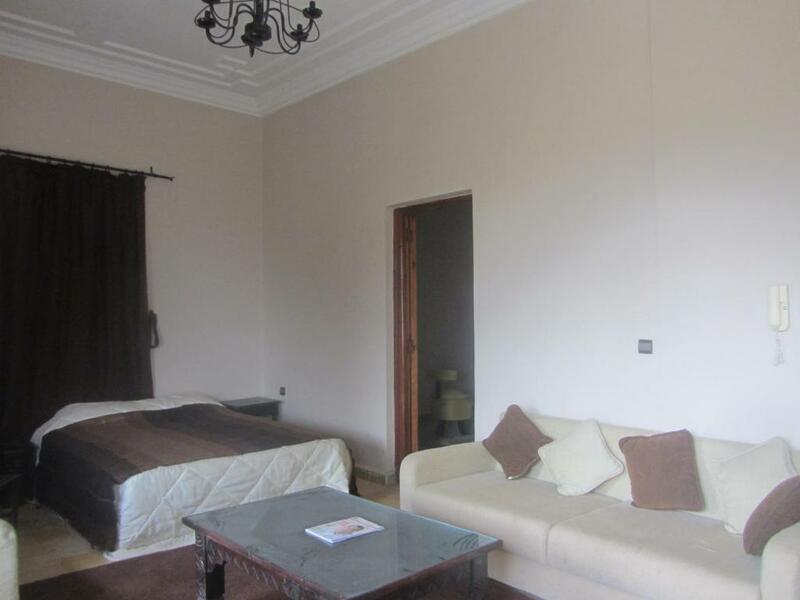 Set in Marrakech, Riad Azul Marrakech features free WiFi, a 5-minute walk from Djemaa El Fna and 550 yards from Bahia Palace. Riad Azul Marrakech offers a terrace. 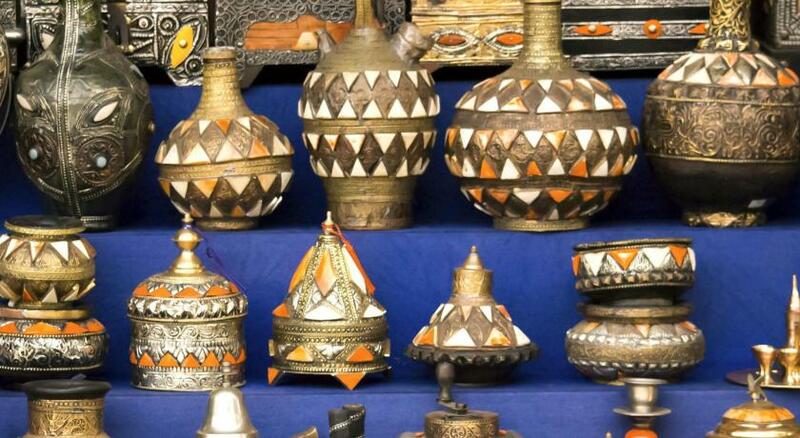 Souk of the Medina is 550 yards from the accommodation, while El Badi Palace is 650 yards away. 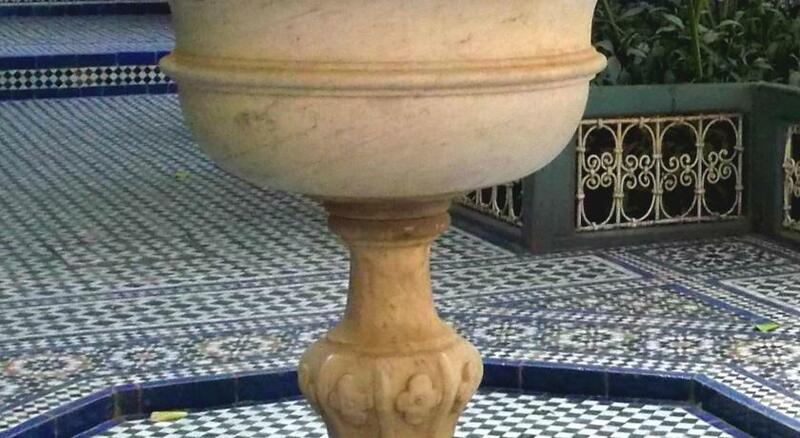 Marrakech-Menara Airport is 3.1 miles from the property. 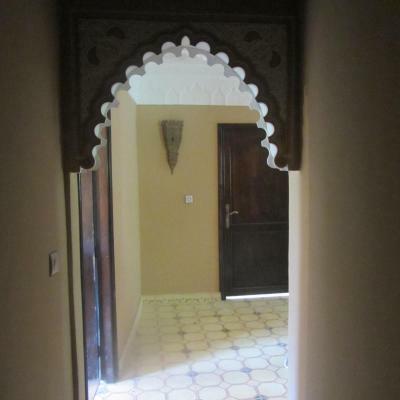 Riad Azul Marrakech has been welcoming Booking.com guests since 27 Oct 2016. 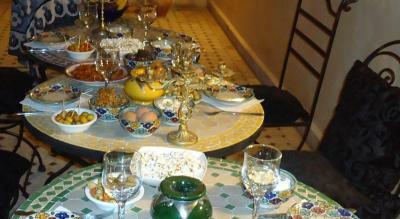 When would you like to stay at Riad Azul Marrakech? Property surroundings – This neighbourhood is a great choice for travellers interested in markets, street markets and souks – Check location Great location - show map Guests loved walking around the neighbourhood! House rules Riad Azul Marrakech takes special requests - add in the next step! Not clean place. Actually the most dirty room I ever saw and I'm a backpacker traveler so I do not have expectations. The place has no name mentioned and is hard to find even if you are in front of the door. It looks like private house. The room was not clean at all. Only the bed was made. The rest looked like it was not clean ever. The room was not the one showed in the picture when we book it. There was a rest of toilet paper offered. There was a used towel left on the chair and socks hanged close to the shower. Also some garbage left in the bathroom. Dust was never cleaned in that room. 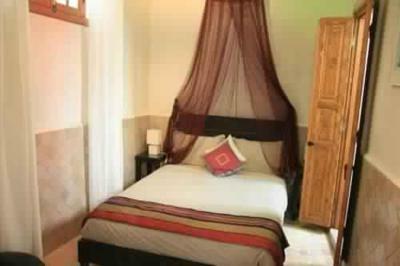 We were traveling in Morocco for 20 days and we used more than 10 different accommodation in the similar budget so we know the Moroccan style and we can compare. The kitchen they used to prepared breakfast it was not cleaned since weeks. Lots of leftovers everywhere. 100 dirty plates were in the kitchen. There was no cleaning lady as I saw being mentioned in the other reviews. This was the worst place due to the fact that it was really not clean. I booked it because of the high note it has. Moreover it doesn't have the name mentioned on the building and it makes it impossible to find without asking people. Kindly staff. Free mint tea and coffe. 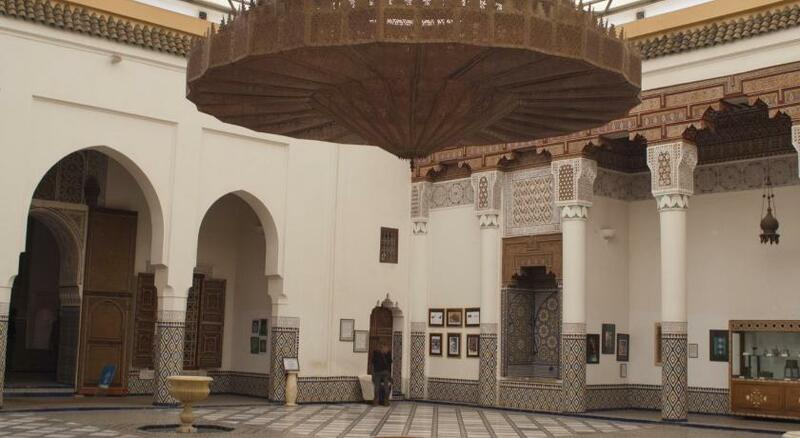 Riad Azul is close to the medina, that's very nice. At our stay the real owner was not at the property, so we were helped by Mustafa. The place was pretty dirty and very ugly inside, with just a little bit of extra work inside the place it could have been a lot better. OK, it's cheap. however a clean toilet should be basic. We hated the beds, the pillows were made of rocks it seemed, but to be honest I've neck problems, so that's probably on me. Mustafa was a kind but lazy host. He didn't show us around at first. But the biggest flaw was when we agreed on breakfast time being at eight o'clock, I had to wake him up at 8:30, and therefore we had breakfast at 9..
toilet in the shower one socet for whole room and they guy did not charge me at the begging only to later wake me up but stubbornly knock to our doors also wanted to charge me more by 20€ but argued my way out with booking confirmation but he barely spoke any language. Very simple and austere accommodation. Room had no social background, it was in the corridor. Breakfast is very good! Staff is very friendly!